PSA Group’s newly appointed Australian distributor Inchcape Australasia will tap into the growing demand for premium models, SUVs and light-commercial vehicles as it seeks to reverse the fortunes of Peugeot and Citroen in this market. Well known for successfully managing Subaru in Australia for more than 40 years, London-headquartered Inchcape won the rights to handle the PSA Group brands in June this year after previous importer Sime Darby Motors Group announced its intention to offload them and focus on its retail business. Speaking at the launch of the Peugeot’s new-generation 3008 in New South Wales’ Hunter Valley last week – the first model launch under the new distributorship – Inchcape Australasia chief executive Nick Senior said taking on the French brands provided an “exciting opportunity” for the company, but acknowledged that challenges will come with it. Mr Senior said Inchcape was in the best position to ensure both Peugeot and Citroen succeed in Australia, and that the company would push to grow the two brands’ market share – which, combined, has been 0.5 per cent or less for the past three years and no more than 1.0 per cent since 2008. “I’ll back Inchcape with its experience in automotive distribution in this country,” he said. “It’s mixed with retail, distribution and logistics expertise, and our performance culture to really exploit this opportunity in growing both the brand value of Peugeot and Citroen as well as sales and market share. “However, I do recognise that the last point is not going to be an easy journey, and … not for one minute have we underestimated the challenge ahead. Mr Senior did not divulge sales targets for the Australian market, but said Inchcape would work hard to help PSA Group achieve its goal of increasing sales outside Europe. Australian sales of the French brands peaked in 2007 when Peugeot hit 8807 units and Citroen 3803 units, but this has fallen sharply in recent years, dropping to just 3129 for Peugeot and 965 sales for Citroen last year. “At the moment, 38 per cent of sales are outside Europe, and PSA’s ambition is to lift that to 50 per cent by 2020,” Mr Senior said. “And obviously we have a role to play in that goal. One of the areas Mr Senior identified was the product portfolio, which he said was “exciting, it’s customer-driven, and resonates with the segments of the market that are very strong in Australia”. Under the new arrangement, Inchcape will push Citroen as the entry brand with a renewed focus on light-commercial vehicles thanks to the strong brand recognition already built up with the Berlingo small delivery van – its best-selling model. The Berlingo will be joined by the Dispatch mid-size van next year and, possibly, a larger Relay van down the track, as the company actively targets fleets and business buyers. Citroen will also retain a passenger car focus with the new C3 and C3 Aircross on the horizon, while the quirky C4 Cactus crossover range will expand and could be joined by the Mazda CX-5-rivalling C5 Aircross – shown at this year’s Shanghai motor show – in the next couple of years. 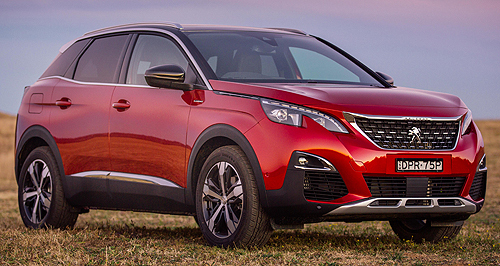 Peugeot will be pitched as a more high-end offering, with its line-up of models – including the freshly launched 3008 five-seat SUV that kicks off from $36,990 plus on-road costs – competing directly with Volkswagen as a semi-premium alternative. The majority of passenger car models coming down the pipe for both brands are SUVs, with the 3008 to be followed by its seven-seat 5008 sibling later this year. Mr Senior said Australian consumer preferences had changed in recent years, with more buyers opting for a premium badge and generous levels of standard equipment. He added that Inchcape’s newly formed subsidiary, Peugeot Citroen Australia (PCA), had already shuffled pricing on some models and that it would not offer a stripped-out base variant of any of its models. 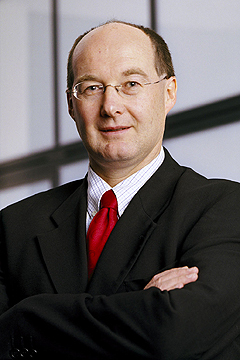 “Both PSA and ourselves spent considerable time during the negotiations looking at the pricing and positioning of the ranges, and that has resulted in some quite significant reductions that will, when leveraged with the new-model rollout we have over the next 12 months, dramatically increase the appeal of the Peugeot Citroen brands,” he said. “We’ve already seen that repricing on the 2008 and the 208. Our go-to market strategy in the future is to market brands that represent true value for money in the premium car segment. “Let’s make it clear, we will not be the cheapest in the market. Why should we? Indeed, we have already taken a deliberate strategy to exclude all base models in the line-up. “As Australia has moved more and more in the last three years to premiumisation, the level of interest and the percentage of sales in the base models has dropped accordingly. Now, only 10 per cent of all sales are base models compared to around 23 per cent three or four years ago. As part of a dealer network review in progress, Mr Senior said the company was working to amalgamate the brands under the structure to ensure each dealer was selling both Peugeot and Citroen. He said it was also likely that Inchcape would own and operate some retail sites in the future. Globally, PSA Group has had a tumultuous few years and struggled to stay afloat in 2012 before Chinese automotive giant Dongfeng Motor Group and the French government each nabbed a 13 per cent stake in the company in 2014. The appointment of former Renault-Nissan Alliance executive Carlos Tavares as the new global CEO and subsequent cost-cutting measures helped ensure PSA Group returned to profit in 2015, with worldwide sales hitting 3.14 million units in 2016, its best performance since 2010. Mr Senior cited the brands’ lengthy histories in Australia and the leadership of Mr Tavares as other key reasons Inchcape took on the distribution of the brands Down Under.